Today Oil Search (PNG) Limited signed a contract with Link PNG Limited (a subsidiary of Air Niugini) for fixed-wing aircraft services both inside and outside Papua New Guinea. Awarded after a competitive tender process, the final contract is for three years for the initial term, with additional optional extension periods. At the official signing of the contract this morning, Oil Search’s Managing Director, Peter Botten said, “Air Niugini has been providing a safe and reliable fixed-wing air service for Oil Search since 2007 and will now continue to do so via Link PNG”. 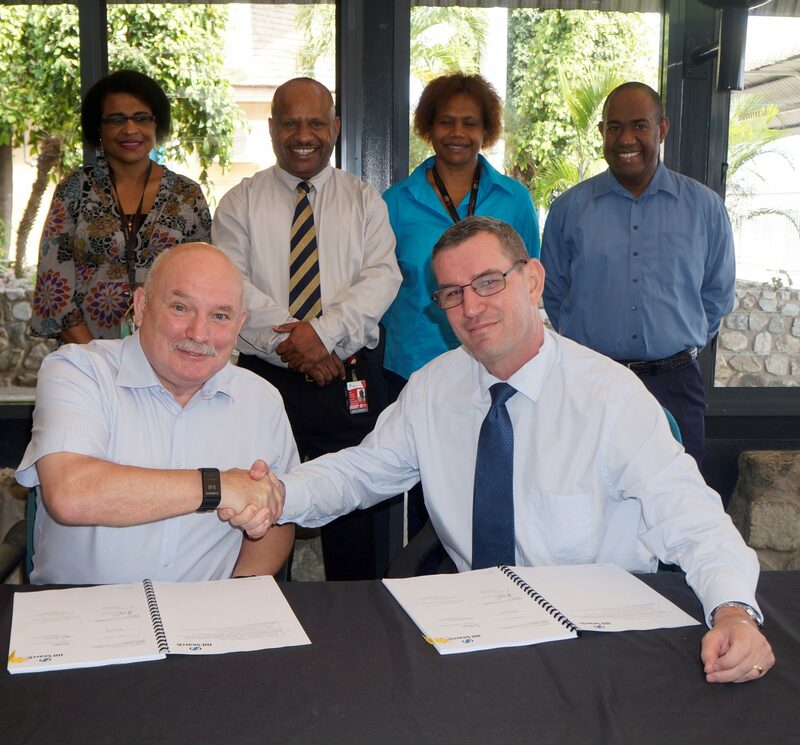 General Manager, Link PNG Bruce Alabaster said under this agreement Link PNG will provide fixed wing aviation services to Oil Search to allow the company to move its staff between Port Moresby, Moro, Kiunga and Cairns. He said this is a successor to the aviation contract with Oil Search as Air Niugini now under its subsidiary, Link PNG has been providing these services to OSL for the last 11 years. “Air Niugini has provided over 8 million km’s of safe travel to OSL employees, and uplifted over 350,000 passengers as well as 1,000’s of tonnes of cargo. We are delighted to have been able to work with OSL to deliver this outcome”, Alabaster said. The parties look forward to a continued safe and successful relationship.